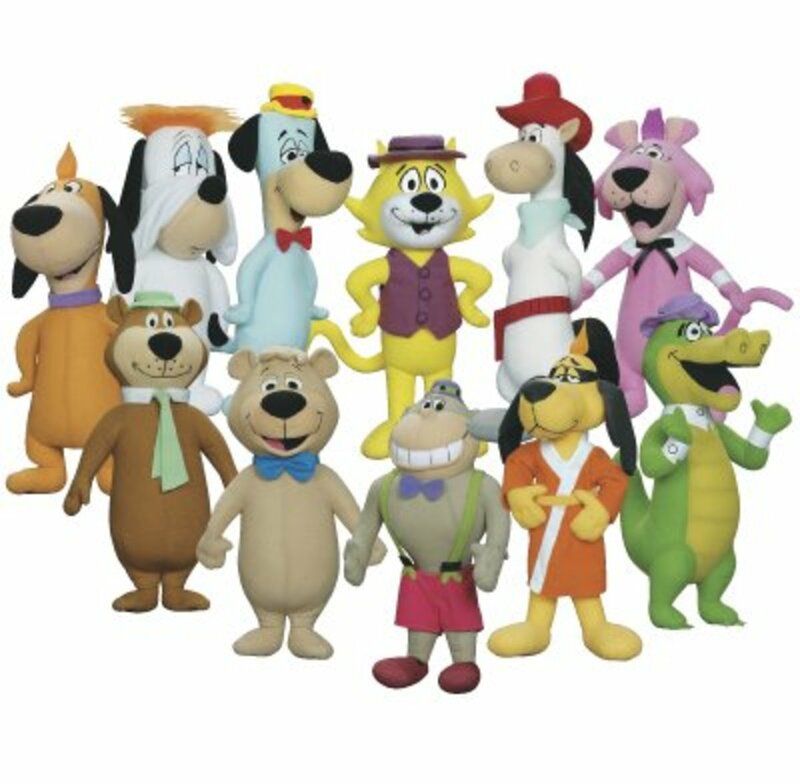 Just as with Huckleberry Hound the year prior, Rocky & His Friends was a half-hour package series. 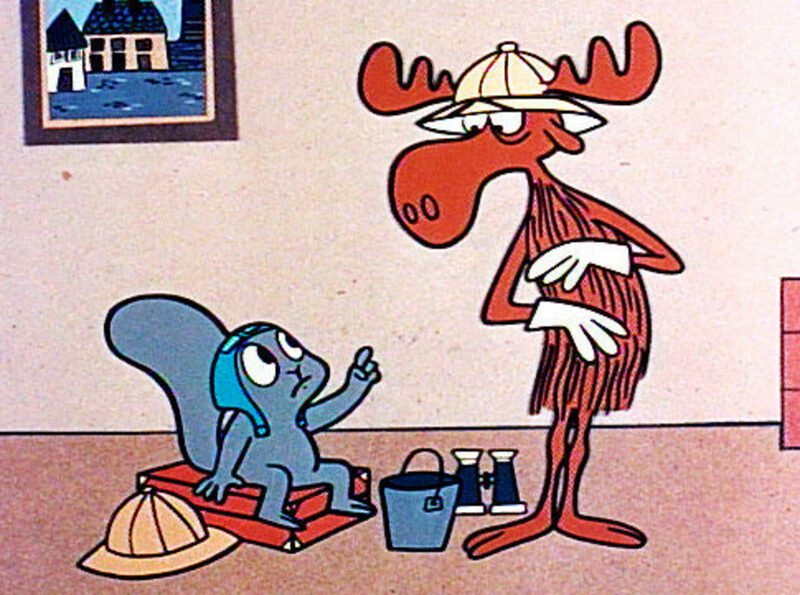 While the centerpiece was the moose and squirrel, each Rocky & Bullwinkle short only lasted 3 ½ minutes, with a short at the start and at the end for a total of 7 minutes of the runtime. There was another 15 minutes in the middle of each episode that needed to be filled. What resulted over the course of the show’s 163 episodes was seven recurring segments that would shift in and out from week to week. The first of these was Fractured Fairy Tales, a 4 ½ minute segment which would parody a different fairy tale each week. A common theme in these parodies was putting the characters of these fairy tale in the present day and seeing how their stories would (humorously) play out in a modern setting. Some of the stories covered included Little Red Riding Hood, Aladdin, Rumpelstiltskin, Snow White, and Rapunzel. This segment was unique at the time because unlike other TV cartoons at the time, Fractured Fairy Tales was an anthology series, rarely ever having the same cast twice. The regular cast of the Rocky & Bullwinkle segments (Bill Scott, June Foray, and Paul Frees) also voiced various fairy tale characters in this segment. Joining them was Daws Butler (who was already voicing most of Hanna-Barbera’s star characters) and, for the narrator, actor Edward Everett Horton, who had previously done voice work on a cartoon Bill Scott had produced at UPA. 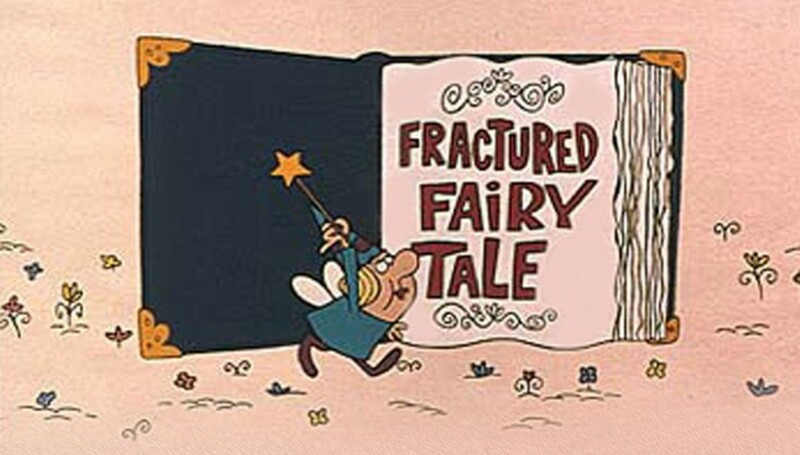 In large part, Fractured Fairy Tales was inspired by a 1953 record titled “St. George and the Dragonet”, a parody of the Dragnet series set in medieval times with Stan Freberg playing St. George on his way to slay a dragon while acting like the detective from Dragnet. The B-side of this record was “Little Blue Riding Hood”, a parody which had Riding Hood under investigation by the detective for “trafficking goodies”. This record was a #1 seller, and even had Daws Butler and June Foray voicing characters in it. Rocky & Bullwinkle writer George Atkins used this record as a basis for the humorous direction of the segment. Ted Key, brother of Leonard Key (who had gone to school with Jay Ward and briefly worked with Ward in a failed Crusader Rabbit revival), had already enjoyed a fair bit of popularity with his single-panel comic series “Hazel”, which ran in the Saturday Evening Post from 1943 to 1969 (and then in newspapers from 1969 until Key’s retirement in 1993). 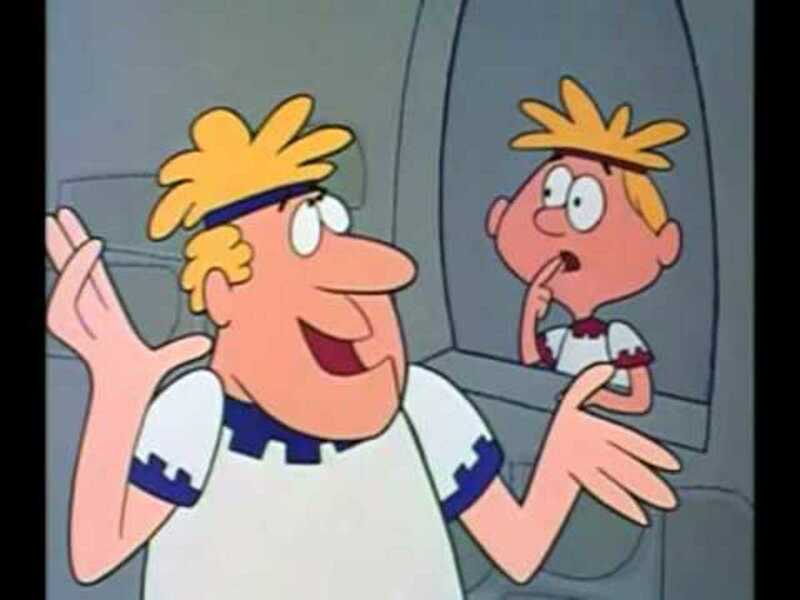 At the initial meeting of the Rocky & Bullwinkle staff, Key presented an idea he had come up with: “Danny Day-Dream”, about a dog and his pet boy who go time traveling through history. 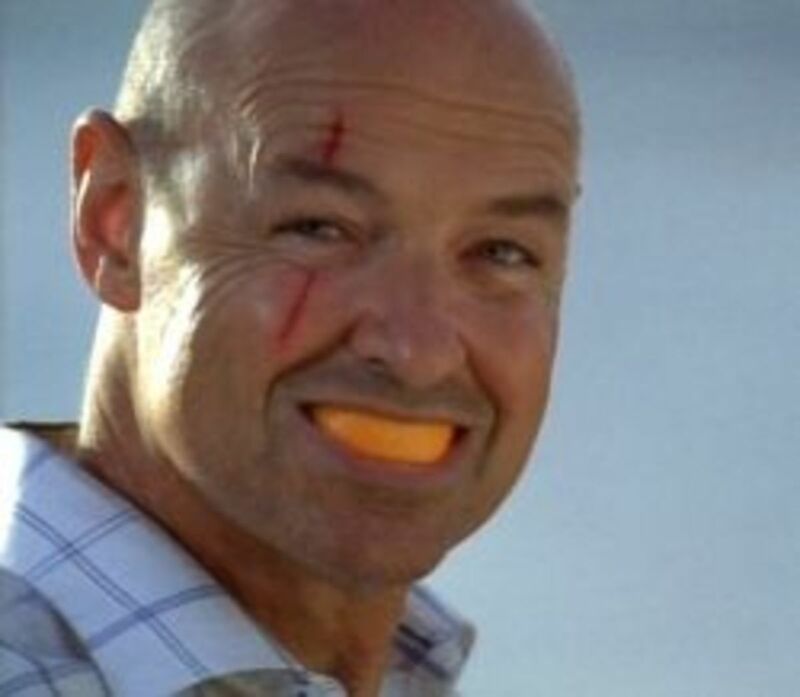 Ted Key’s initial pitch included 93 possible scenarios that the characters could find themselves in, many of which were used in the show itself. The idea of having a dog owning a boy came from Ted Key observing animals. He noted that humans “all take orders from cats”, so from that he came up with the idea of having a smart dog, a beagle, giving orders to a boy. 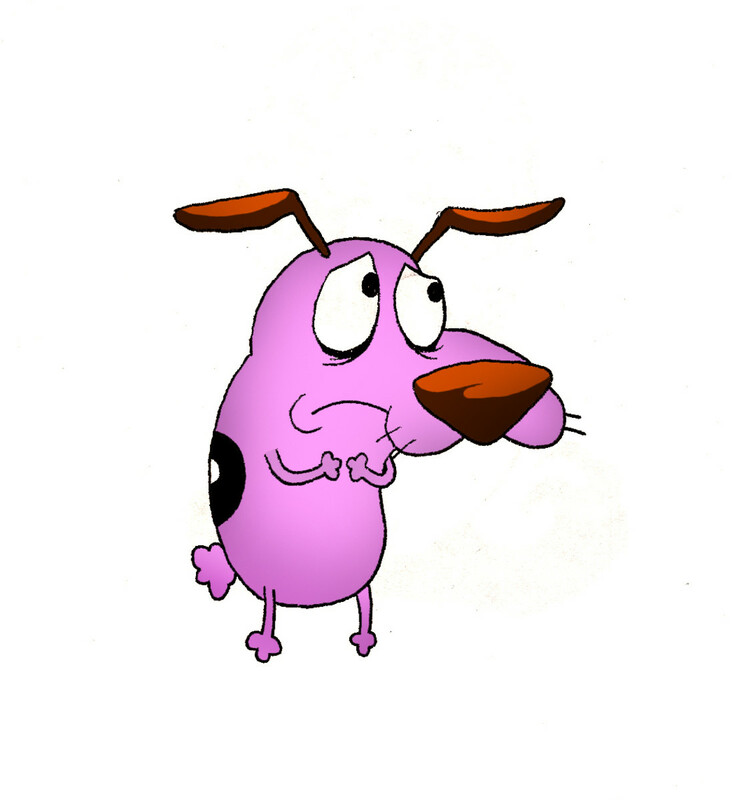 The dog, who walked upright with a red bowtie and thick glasses, would come to be named Peabody, named after Bill Scott’s own dog. Peabody was extremely self-confident to the point of arrogance, bragging whenever he came up with a solution to a problem. 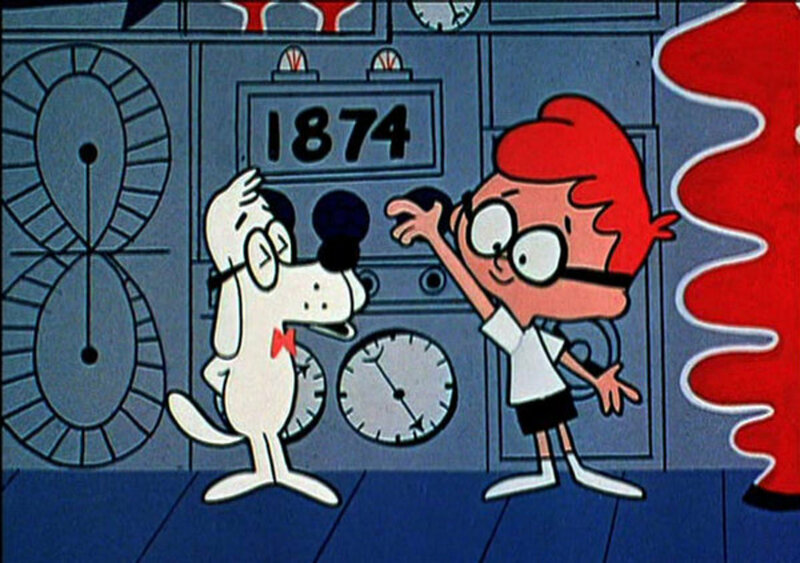 In each adventure, Peabody would take Sherman on trips through time in the WABAC (“Wayback”) Machine, which Peabody naturally invented himself, in hopes of educating Sherman about historical events. In each trip, they would discover something wrong with the course of history, leading to Peabody coming up with a solution (Sherman assisting him) and history being corrected, before Peabody ends the episode by saying a pun. Aesop and Son was similar to Fractured Fairy Tales, in that it took classic stories and turned them on their head. These stories were presented by Aesop, a Greek man, telling his son fables to teach him morals. The stories often ended with Aesop’s son presenting a different moral he took away from the story, usually comically missing the point his father was trying to make. Aesop was voiced by Tony Award-winning actor Charlie Ruggles, while Aesop’s son was voiced by Daws Butler. As mentioned in the previous article, when Jay Ward and Alex Anderson made their “The Comic Strips of Television” pitch to NBC in 1948, there were three characters who made up the pitch: adventurer Crusader Rabbit, detective Hamhock Jones, and mountie Dudley Do-Right. NBC had passed on Hamhock Jones and Dudley Do-Right, but picked up Crusader Rabbit for a full series. When the time came to come up with skits for his new series, Jay Ward went back to this pitch and decided to revive Dudley Do-Right to be a recurring segment (nothing was ever done with Hamhock Jones). Dudley Do-Right’s segment was a parody of old melodramatic film serials, though given that some of the serials it was parodying were ridiculous in their own right it would sometimes come off as more of a tribute. Dudley is a dimwitted Canadian mountie who is always trying to save Neil Fenwick, daughter of his superior Inspector Fenwick, from the clutches of mustache-twirling villain Snidley Whiplash (a direct parody of old film serial villains). He would often only win against Snidley through luck or with the help of his trusty horse, simply named Horse. While Dudley would try to win the affections of Neil, Neil only had eyes for Horse. To go with the silent film melodrama style, all the background music was done only with a piano. 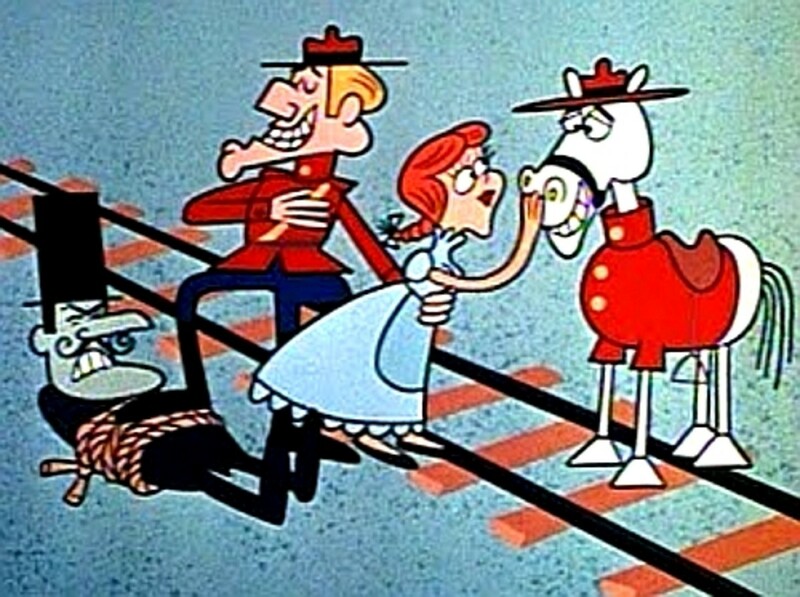 Dudley Do-Right had the Rocky & Bullwinkle regulars, Bill Scott (Dudley), Paul Frees (Inspector and the Narrator), and June Foray (Neil). But also among the cast, voicing Snidley Whiplash, was Hans Conried, who is best known to animation fans as the voice of Captain Hook in Disney’s Peter Pan. 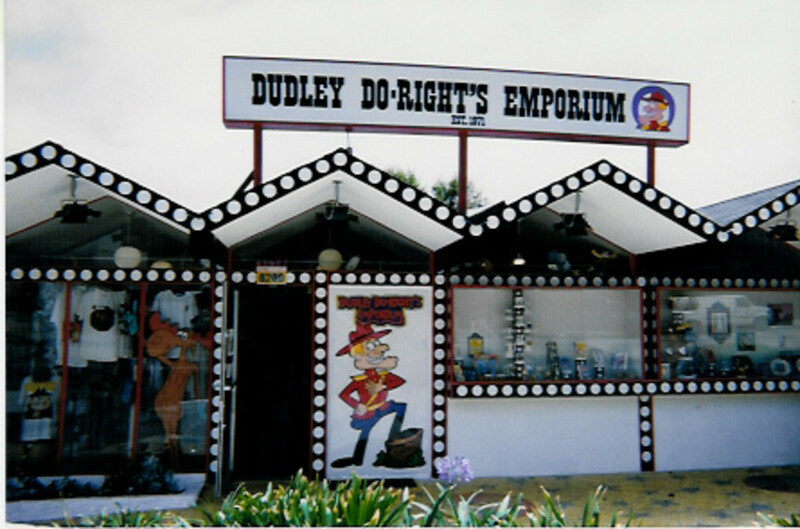 Dudley Do-Right was one of Jay Ward’s personal favorite segments; Ward’s personal gift shop in West Hollywood, which stayed open from 1971 to 2005, was named the Dudley Do-Right Emporium. For the rest of the time that the previous four shorts couldn’t fill, there was Bullwinkle’s Corner. While sometimes this could just be a little segment with the characters running around doing something or performing a magic trick, it most often consisted of three different types of recurring short segments. In one, Bullwinkle would recite poetry, such as nursery rhymes like Little Miss Muffet to passages from Edgar Allen Poe. During these segments, especially in later ones, something (usually Boris) would disrupt his performance. While it may seem odd that the bumbling moose would have such an interest in poetry, this was in line with Bullwinkle’s early personality which was prominent in the General Mills advertisements the characters also starred in, where he was presented as an intellectual moose. As the series went on, these poetry segments were gradually faded out. There was also “Mr. Know-It-All”, a segment where Bullwinkle would explain to the audience how to perform a task, like how to be a hobo or an archeologist, or how to catch a bee, or even how to disarm a live 5000 megaton TNT bomb in your own workshop in your spare time to amuse your friends. Similar to Disney’s Goofy “How To” shorts, something would always go wrong for Bullwinkle in the process of trying to do the task at hand. Lastly, there was the “Fan Club” segments, which began appearing as the poetry segments were phased out. 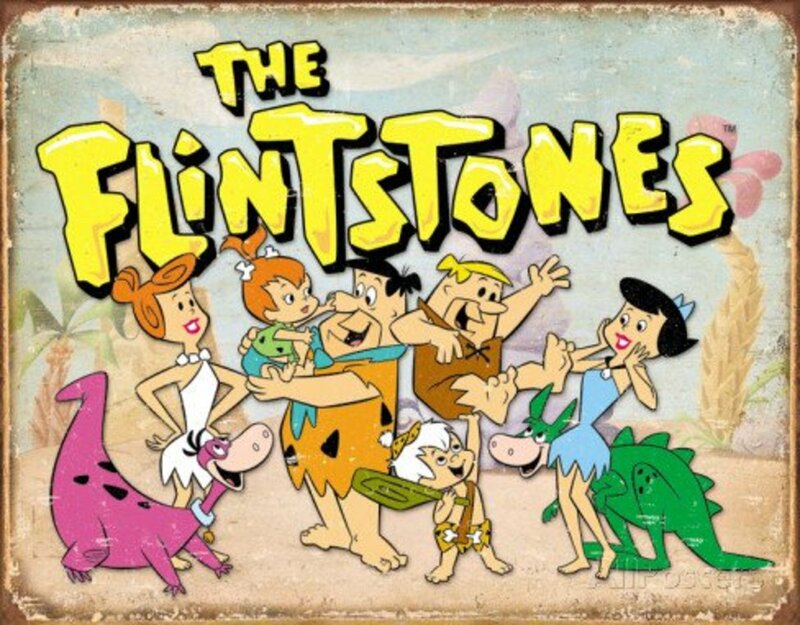 These were short 90 second vintages putting Rocky, Bullwinkle, Boris, Natasha, and Captain Peachfuzz (another recurring character) a bit more on friendly terms, such as acting in plays together and holding fundraisers for Bullwinkle’s club. 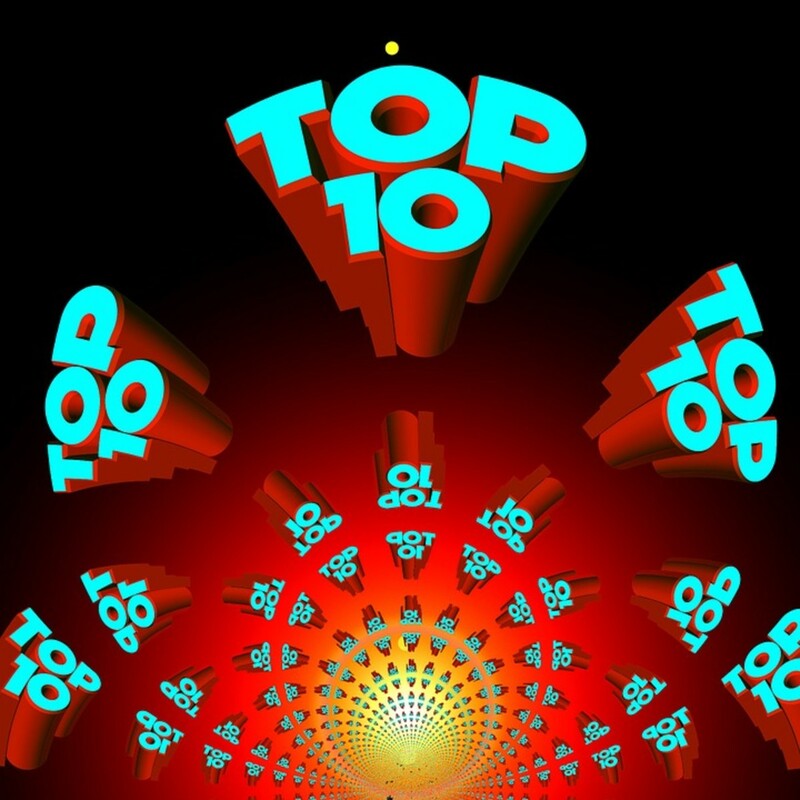 These were the least frequent of all the segments, with only ten installments made. Rocky & His Friends had a solid run on ABC for two seasons, but never quite got the ratings the network wanted. Meanwhile, in 1961, NBC was looking for animated programming to air next to Walt Disney’s Wonderful World of Color (which NBC had just acquired from ABC as well), so the show exchanged hands and was aired on NBC as “The Bullwinkle Show” for an additional three seasons. The segments and humor remained the same, but just on a new network. 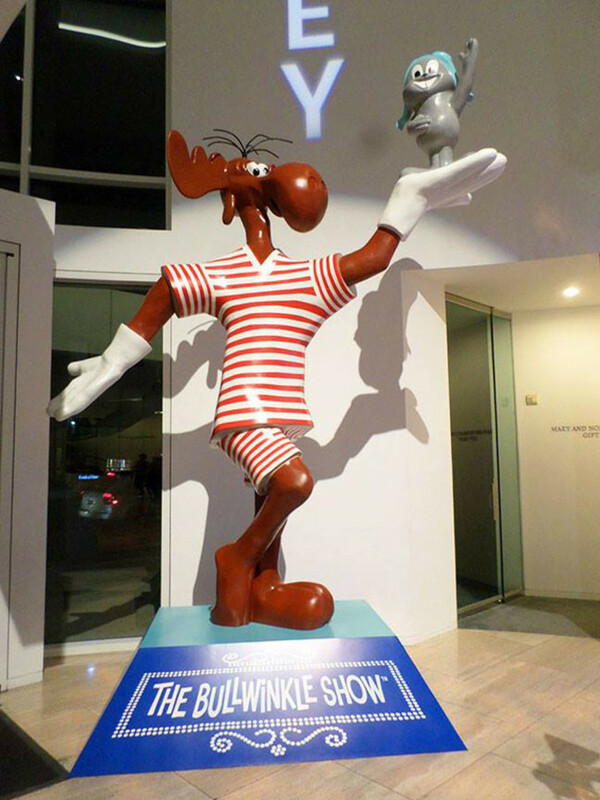 To promote the show’s new network, a statue of Bullwinkle holding Rocky was erected in front of Jay Ward’s studio in Los Angeles, an unveiling event which included star Jayne Mansfield. This statue would eventually find its more permanent home in front of the Dudley Do-Right Emporium, where it remained until it was taken down and removed by Dreamworks (the current rights holders) in 2013 for repairs after years of neglect. Most recently, the statue, now fully restored, was on display in late 2014 at the Paley Center in Beverly Hills, its new permanent home yet to be decided. 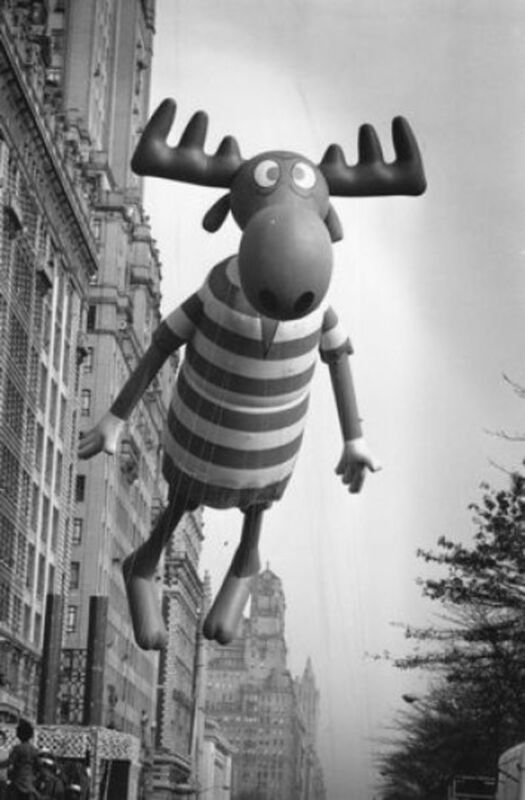 There was also a Bullwinkle balloon in the 1961 Macy's Thanksgiving Day Parade, giving Bullwinkle the distinction of having the first parade balloon based on a television character. 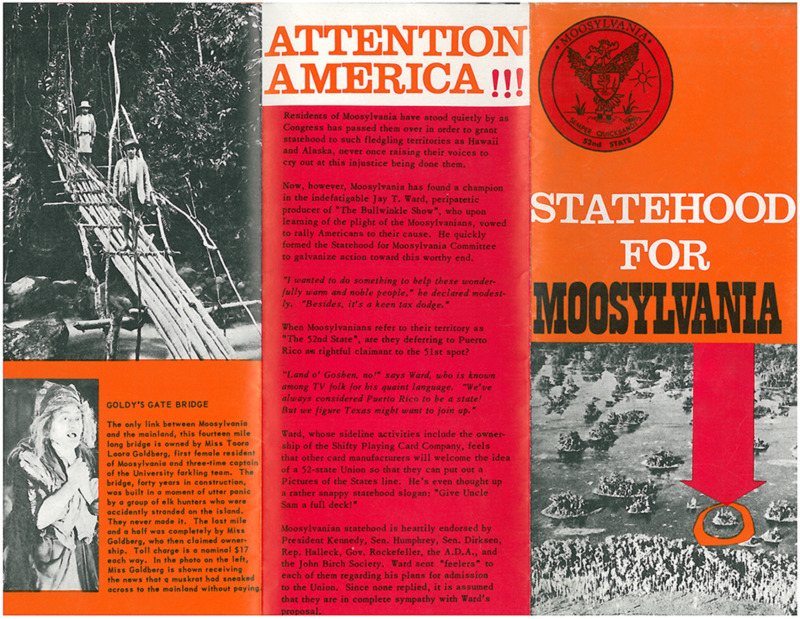 Also for promotion, Rocky & Bullwinkle writers George Atkins and Allan Burns took a petition around cross-country, which would ask the government to create a state named Moosylvania located on a small island near Minnesota (which Ward and Scott had purchased). The petition actually got a fair amount of signatures, but before Ward could reach Washington DC with it, the Cuban Missile Crisis broke out, and they scrapped the petition. 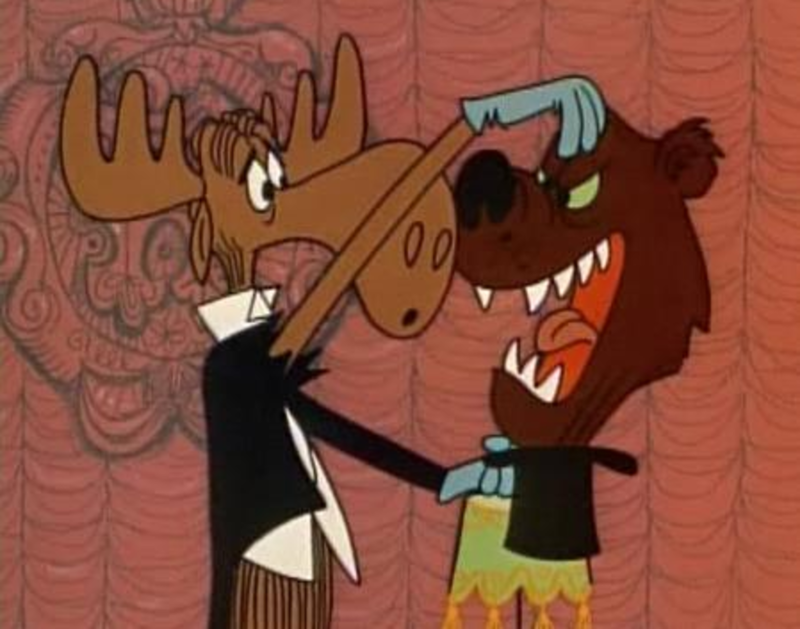 NBC’s Bullwinkle Show did have one new segment, however: During the initial airings, the show was introduced by a live-action Bullwinkle puppet who was a lot more sarcastic than the Bullwinkle in the cartoons. At the end of the show, Bullwinkle would return and usually make a sly remark about Walt Disney (whose show aired after). The Bullwinkle puppet disappeared for a while after, until returning for a segment titled “Dear Bullwinkle”, where he’d read “fan mail” and answer questions. After five years in production, Rocky & Bullwinkle ended its run in 1964 with 163 half-hours under its belt, an impressive feat for any show. While there was still a loyal following, the network and the advertisers, primarily General Mills, had grown tired of the show and wanted something new. The series went back to ABC who, while not interested in producing new episodes, continued to air reruns as part of their Saturday morning lineup until 1973. 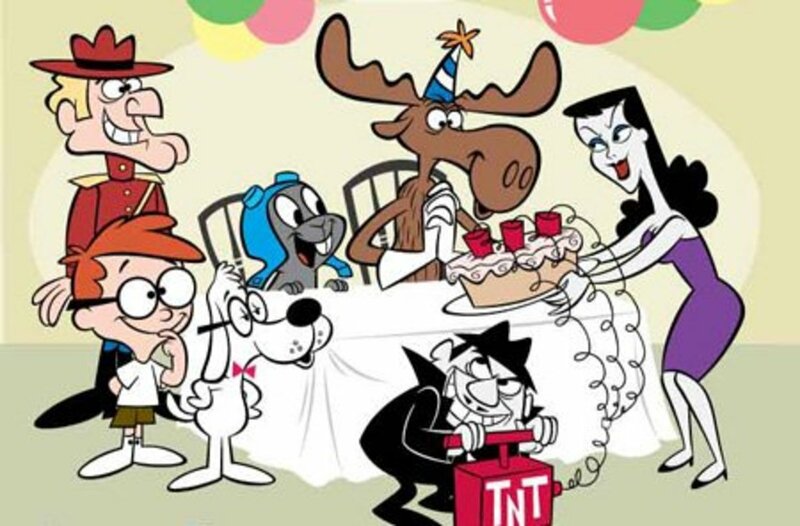 It also had a long healthy life in syndication, airing under various different names; “The Rocky Show” for most of its time on local networks, “Bullwinkle’s Moose-O-Rama” during its run on Nickelodeon in the early 90’s, and eventually “The Adventures of Rocky & Bullwinkle” for later reruns and the DVD releases. Dudley Do-Right even got his own rerun show in 1969, which included several segments produced by General Mills’ Total Television studio. 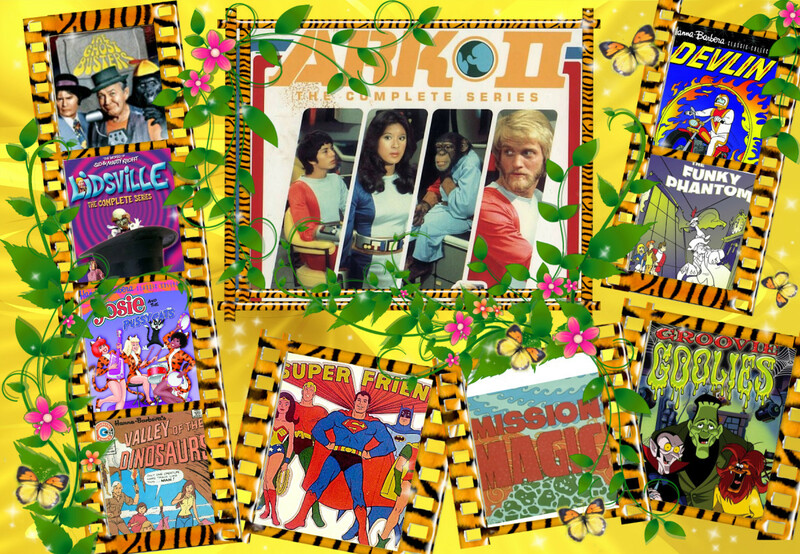 The characters have also managed to remain relevant to this day through reruns, comics, video games, theme park rides, and most of all film adaptations. The first of these was a Boris & Natasha film written by Jay Ward, which was played on the Showtime Network in 1992 after it failed to get a theatrical deal. The producers couldn’t even secure the rights to use Rocky and Bullwinkle, so outside of a reference, they were absent from the film. 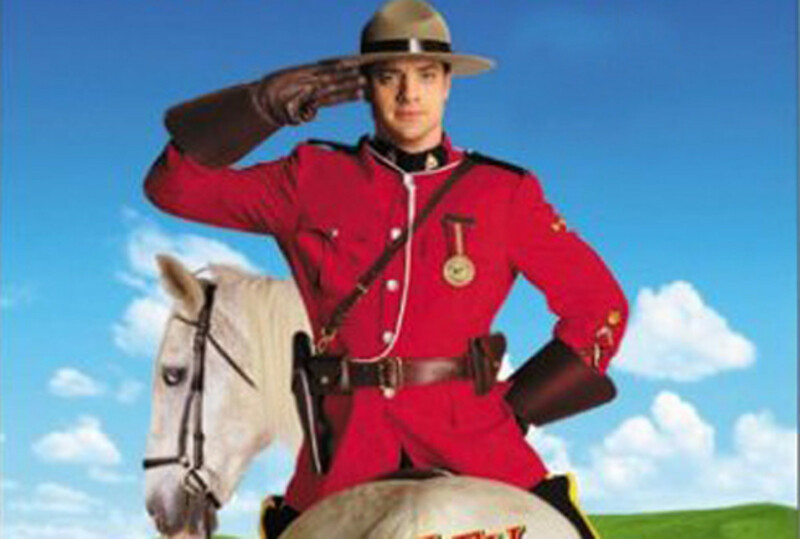 The next was Universal's Dudley Do-Right film in 1999, starring Brendan Fraser. Unfortunately, this film didn’t live up to its animated counterpart to say the least, and made only 1/7th of its budget back. Rocky & Bullwinkle finally got their chance at the big-screen in 2000 with “The Adventures of Rocky & Bullwinkle”, also made by Universal. The plot of the film focuses on what became of the duo after their show’s cancellation 36 years earlier, eventually leading them into the real world (animated in CGI) to save the United States from Fearless Leader’s plans. June Foray reprises her role as Rocky, with animation historian Keith Scott (no relation to Bill Scott, though he was friends with him and Ward) as Bullwinkle and the Narrator. The film included a wide range of celebrities involved, but it too bombed at the box office, gaining more traction on home video than in the theater. Most recently, in 2014, Dreamworks Animation released “Mr. 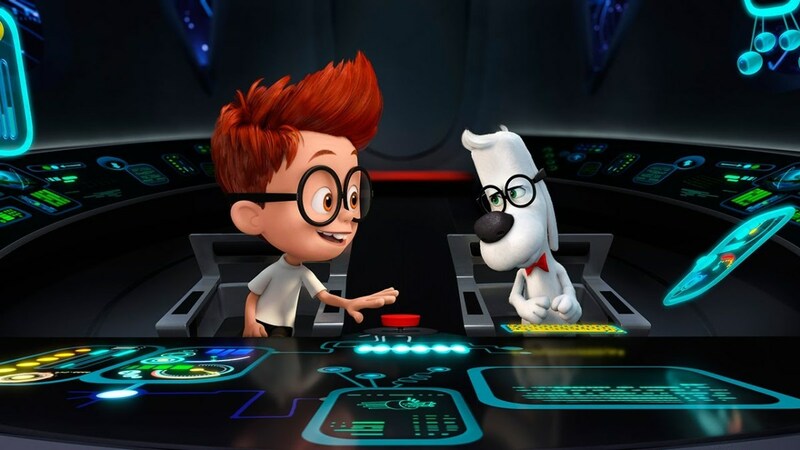 Peabody & Sherman”, who were voiced by Ty Burrell and Max Charles respectively. 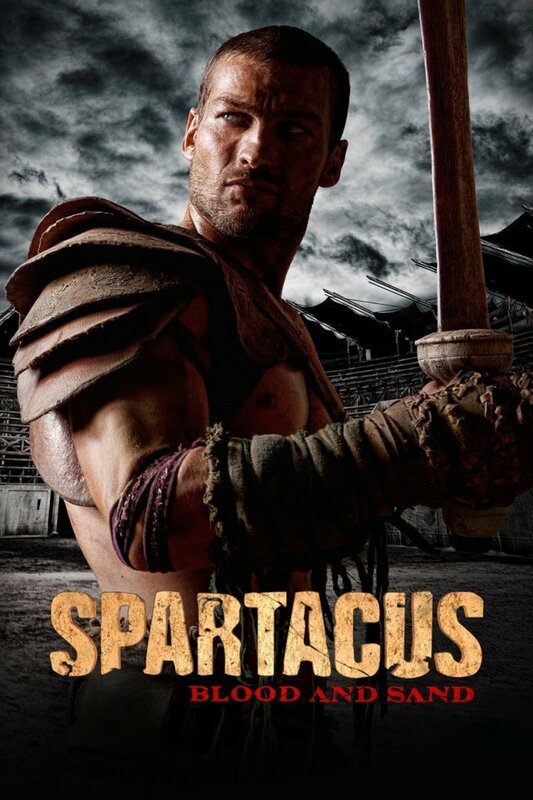 Unlike the other films, this one succeeded, raking in $273 Million globally. 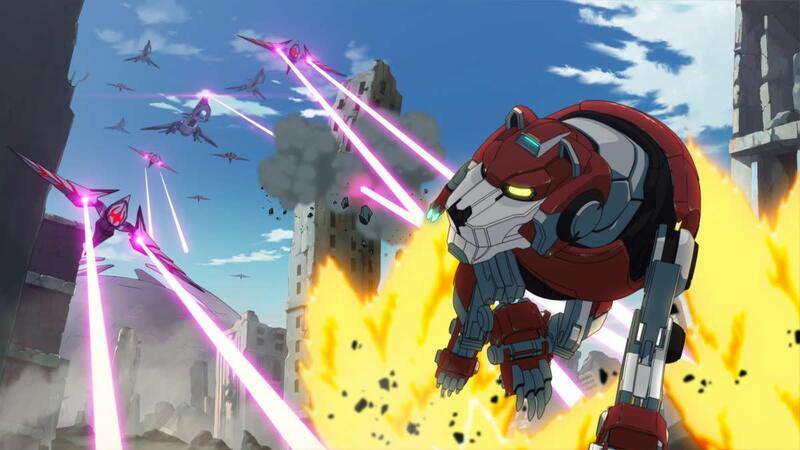 Dreamworks has also recently ordered a 78 episode series based on this film, which will arrive on Netflix sometime in the near future. 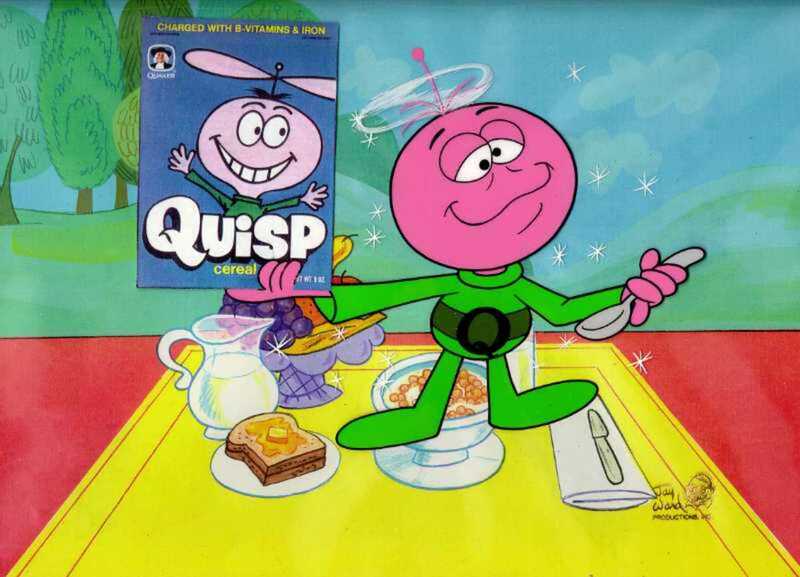 During and following the conclusion of Rocky & Bullwinkle, Jay Ward’s studio would animate a number of cereal commercials for General Mills and Quaker Oats, including ads for Cap’n Crunch and Quisp. Soon after, he moved on to create two more series: Hoppity Hooper in 1964, and George of the Jungle in 1967. But, by far, it was Rocky and Bullwinkle whose legacy defined Jay Ward’s career the most. Scott, Keith. "The Moose That Roared: The Story of Jay Ward, Bill Scott, a Flying Squirrel, and a Talking Moose" Macmillan, 2014. Print. Thanks for Sharing Rocky & Bullwinkle Part 2: “Fractured History” or “Don’t Take Advice from a Moose Puppet” was a great follow up to "Rocky & Bullwinkle Part 1: "The Birth of Moose and Squirrel" or "How Jay Ward Returned to Television"